Martin Miles, one of Britain's most eminent homeopaths, was a student of Thomas Maughan. Martin started to practice homeopathy since 1974, he was a founder and first Chairperson of the Society of Homeopaths. In 1977, he co-founded of the College of Homeopathy, the first teaching institution for lay practitioners in England. Martin was a founder on The Guild of Homoeopaths. Martin Miles taught that homeopathy can create shining spirits. He was a man of modesty, a man who helped countless people with severe pathology, a man who inspired a love of homeopathy, a man with many friends and no enemies. He started in practice in 1976, and with others in 1978 set up the College of Homeopathy and the Society of Homeopaths of which he was the first chair. Martin was a quiet yet humorous man - deep thinking, generous, a little mysterious, almost as if steeped in another time. It seems as if this was born out of his extraordinary introduction to homoeopathy through Thomas Maughan who regarded Martin as his amanuensis. Thomas had more or less saved his life by giving him not just remedial treatment but also a discipline and a focus. Their relationship was very much one of master and apprentice and this is how Martin saw homoeopathy being carried forward into the future. He always adhered to the belief that homeopathy should not only be taught, but had to be absorbed through witnessing others at work. Martin originated from the East End of London where his father had been a travel agent, which was Martin’s occupation when he became involved in homeopathy. Maughan had studied homeopathy probably in the tradition of Clarke, Burnett, Cooper, and later Wheeler and Kenyon. Maughan taught a homeopathy class in South East London which Martin attended, and which Martin then taught for many years after Maughan’s death. Martin took his Jewish roots very seriously, yet he was remarkably eclectic in his choice of philosophies to plunder for inspiration. He was fascinated by and very knowledgeable about ancient Egypt. He was one of the first to strongly advocate understanding of the chakras as a means to forming a prescribing strategy. His idiosyncratic methodology was, despite apparent complexity, remarkably simple: always support the patient where he is weakest or most vulnerable even while prescribing the indicated remedy. Thus and by dint of his great knowledge of remedy relationships, he developed multi-aspect prescriptions by which his patients received what Martin always regarded as the minimum: the indicated remedy, chakra support and drainage. He is also to be credited with consistently preaching and practising the frequent prescribing of the nosodes to support constitutional treatment, a legacy of Maughan’s. 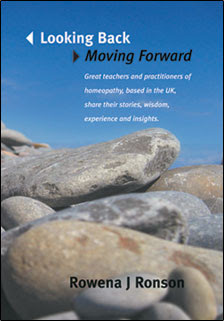 In the early 1990s, he formed the Guild of Homeopaths with Janice Micaleff and Colin Griffiths. For a period of ten years, from 1992, the Guild engaged in a systematic programme of provings of new remedies directed toward supporting existing remedies, the endocrine system, and subtle anatomy. Martin was a leader of the Guild graduate course. To have known Martin as a friend was good, but to have known him as a homeopathic colleague was special. His working life was unique; he turned the work of prescribing homeopathically into an art. He so obviously found homeopathy creative and fulfilling. How he practised homeopathy was unlike anybody else, and those of us who have learnt from him and think of ourselves as erstwhile apprentices, are aware of his achievement of stretching the boundaries of homeopathy a little further in order to cater for all the vastly increased ills that we are asked to consider nowadays. He was fearless in the clinic, unbridled in his contempt for the worst excesses of conventional science, prepared to take responsibility for prescribing in any situation. Yet he always insisted that the great prescribers of the past should be revered as truth-seekers: Hahnemann, Hering, Compton-Burnett, Cooper, Clarke and others, not least Thomas Maughan. He continued in his thriving practice in the Blackheath and Bexley areas of south east London and teaching in the UK and overseas right until he became ill. He had been married twice and is survived by his three children, Alistair, James and Sarah. This obituary was composed by Francis Treuherz FSHom with the help of Colin Griffiths RSHom and Jerome Whitney.